Ankeny hasn’t earned the title of one of Iowa’s fastest-growing communities by chance. The lure of one of the state’s best school districts has brought countless young families to the Des Moines metro’s northern suburb. But many Ankeny parents now worry whether that world-class education will remain in the years to come for their children, thanks to the Iowa Legislature’s inability to fund schools at an adequate level. 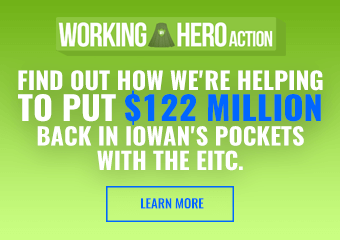 Kevin Koester, the Republican State Representative for the southern half of Ankeny, has sided throughout 2015 with his party’s refusal to compromise on their 1.25% allowable growth funding increase. That has many local parents frustrated with their elected leaders. Gray says there’s been talk of pink slips among fellow teachers and she worries if she’ll have a job to go back to. She’s seen several well-qualified people be unable to get hired on full-time because of the budget impasse. 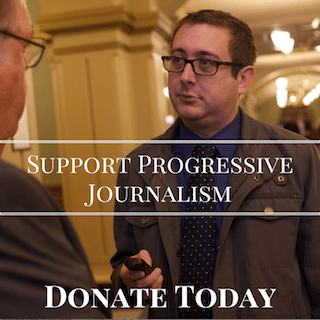 House Democrats began the year advocating for a 6% increase in state funds. Republicans proposed 1.25%. Democrats came down to 4%, then 2.62%. Republicans refused to budge at any point. There are now rumors of a deal where Republicans would keep the funding increase to just 1.25%, but allow a one-time fund of $55 million for the upcoming school year. That would likely set up another long, drawn-out fight during the next legislative session to get an additional $55 million or more for the following year. The state has a budget surplus this year of over $400 million, with an additional $700 million in “rainy day” funds available, both more than enough to cover a 4% increase. School districts around the state have been put into a difficult bind over the situation. Setting next year’s funding is already long overdue and well past the time districts usually have to plan for. School administrators report they’ve already laid off or won’t fill over 1,100 positions around Iowa. 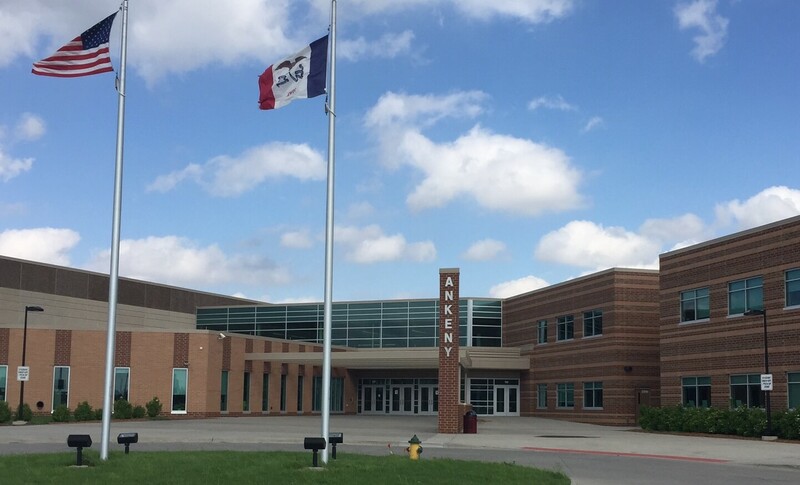 Ankeny schools so far haven’t laid off anyone, but will deal with the cuts through attrition, which could mean positions will still be reduced. In a statewide survey the district noted that “All class sizes K-12 may need to be increased. We simply cannot maintain our current ratios at the proposed funding level.” They’re also reviewing all their school programs for potential cuts if funding isn’t increased for the following year. She got an email back from Koester cautioning her to not believe everything the media and teachers were saying, and that he understood the process was difficult to watch. He offered to call Holzer about it, which she says she agreed to, but never heard from him. Kevin Koester has been reelected on promises of supporting kids and schools. Actions speak louder than words, and I’m glad the people of Ankeny are finally seeing through his lip service. 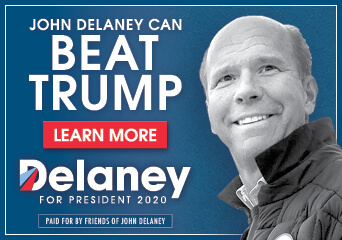 His moderate persona is quickly debunked by his extremist voting record. Thankfully they have a proven advocate in Heather Matson to finally replace him. I would be interested in knowing more on this front. Rep Koester? “..budget surplus this year of over $400 million, with an additional $700 million in “rainy day” funds available, both more than enough to cover a 4% increase.” No reporter commentary/bias in this statement, is there? The problem is that using surplus/rainy day fund for something is is an ONGOING expense is not fiscally smart. What happens when the economy tanks again next year? What will one use then? This is NOT a rainy day need. There is enough money in the government school already – just use it wisely! It doesn’t matter how much money you throw at the education system especially in Ankeny. The current system is failing us. We had a meeting with a school official when our kid was struggling in math. We asked about flash cards etc. and he said we have evolved enough to know that we don’t need all that when we have computers and calculators. Needless to say we have gone outside the school system to educate our kids. Ankeny has failed and so have many other schools. Giving them more money to keep dumbing down our kids is not the answer. Exactly!!!!!!! The system is dumbing down our kids!!!!! Doesn’t matter how much money the schools gets. Start teaching kids like they taught kids years ago. Back to math the way they use to teach it. Teach them the True history everything that has happened. Not just what you want the kids to know it. Quit taking true history out of there history books. Quit dumbing down USA kids!!! Quit this new math crap!!! Teach it like you use to teach it. The 1.25% is part of a well-orchestrated education agenda coordinated by ALEC (American Legislative Exchange Council) which is heavily funded by the Koch Brothers. Iowa Legislators like Linda Upmeyer (past chair), Bill Dix, and Linda Miller are actively involved in the group. What is disturbing is that Koester is more concerned with carrying out the wishes of ALEC than representing the citizens of Ankeny who elected him. After spending all those years as an Ankeny School District employee, he should value education with his actions…not lip service. Trying to blame this on teachers is just smoke and mirrors. The facts supporting 6% or 4% speak for themselves. It’s disgusting the way Republicans have acted in Congress. We deserve better in our own state Legislature. I hope everyone remembers this in the next election. If Branstad hadn’t passed massive property tax cuts across the board, there’d be more money for teachers. I enjoy the residential property tax rates being capped at a 3% growth rate (instead of 4%), but I don’t see how the tax give-aways to commercial, railways, and multi-residential help anyone but the owners… these businesses certainly didn’t pass the lower taxes on to customers in the form of less rent or cheaper products.